With rapidly increasing gas prices that show no signs of slowing, you may find yourself looking into a vegetable oil fuel converter. You may wonder if it is practical to convert vegetable oil into fuel, and if your vehicle can function with this type of fuel. Yes, it is practical to use vegetable oil as fuel. In fact, many people already do it! Originally, when the diesel engine was created by Rudolf Diesel, it was intended as an alternative to farmers so they could grow their own fuel. Vegetable oil as fuel was fairly common until around the 1920s when the petroleum industry took an interest in making diesel fuel from gasoline byproducts. Vegetable oil that has gone through a vegetable oil fuel converter process to make it a fuel source for vehicles is called biodiesel. The primary fuel source for a biodiesel system is waste vegetable oil obtained from restaurants. Biodiesel is used by the United States Postal Service, the US Department of Energy, the US Department of Agriculture, numerous transit authorities and countless others. Using biodiesel is approved by the Environmental Protection Agency as well. It is actually another form of recycling which is always beneficial to the environment. Once biodiesel is made, it offers several benefits. One of the first benefits to appeal to consumers is that biodiesel is a much less expensive fuel, costing only pennies per gallon. Another notable benefit is that biodiesel is environmentally friendly. In a time when so many so-called advances in industry seem to come with grave consequences to the planet, biodiesel is a product that is not only safe to handle but cuts air-clogging emissions as well. Emissions of carbon dioxide and sulfur dioxide are completely eliminated. Other pollutants such as soot, carbon monoxide and hydrocarbons are significantly reduced as well. Add to that a better lubricated, smoother running engine and you have a great fuel option to consider. There are a few negatives to keep in mind before getting a vegetable oil fuel converter. 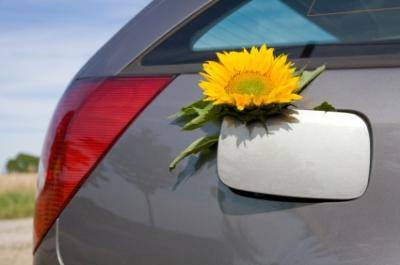 One major concern is that biodiesel may cause damage to your engine if it isn't properly used. Biodiesel is a solvent, which is great in that it will clean carbon and sediment from your engine. However, if your rubber seals and hoses aren't of the highest quality, it can degrade those as well. Your manufacturer's warranty may also be voided if you convert to using biodiesel. Smaller issues include smelling like French fries as you drive down the road (which may not be so bad!) and having a slightly harder time starting your car on cold mornings. You can easily fix the problem of slow starts with a heating device that brings your fuel to the necessary temperature to work properly, or you can use a system that allows you to start your vehicle using regular diesel fuel and then switch over to biodiesel after you have gone about a mile. Switch back to diesel just before turning the car off and you are ready to go the next day. If you understand the pros and cons of using biodiesel and you are ready to proceed, you will need to do one more important thing-get a vehicle that uses diesel fuel. A car that uses gasoline won't work, so that typically means that you need an older vehicle for the conversion. You can find a list of vehicles suitable for conversion on the US Department of Energy web site. They have a handy list of vehicles suitable for alternative fuels. Simply choose the vehicle category and follow the instructions on the page. V. O. Tech markets an incredible system for your vehicle called the Geo. This system works by starting the engine with traditional diesel fuel. Then, when the vegetable oil has reached the proper temperature, you can switch over to biodiesel. Currently this system is only available in New York but will soon be available for home installations. Grease Kings is based in California and has various components for partial or complete vegetable oil conversions. Plant Drive International is a Canadian company that carries everything you need to convert your diesel vehicle to a vegetable oil fueled vehicle. Goat Industries, a UK based company, has an abundance of information and products for converting to vegetable oil fuel. After reading the information on these sites, you will see that vegetable oil based fuel is a great way to protect the planet as well as your pocketbook.